Wow. Ableton has just stepped up and killed it with their announcement of Live 9 and their new controller Push. Live 9 has a variety of great improvements over Live 8, many of which were demanded by the users themselves, like automation curves and automation to clips. They've added the fantastic Glue Compressor as a standard to Live 9, and made visual editing in the EQ and compressor much easier as well. The library, which was before clunky and slow, has been completely overhauled to make finding patches and plugins much quicker. My favorite addition in Live 9 might be the conversion capabilities of audio to MIDI. 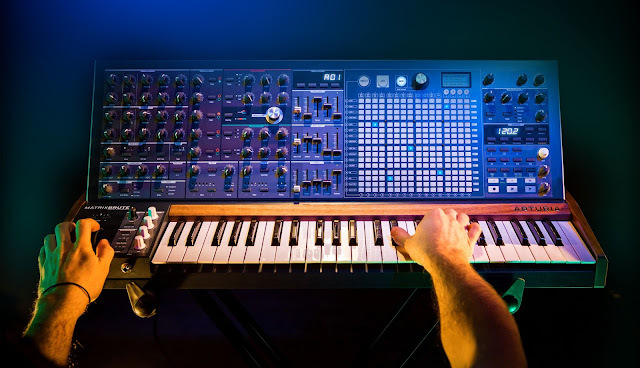 This means you can either sing a set of notes, and turn it into MIDI for a plugin, play some guitar notes and do the same, or beatbox a beat and turn that into a drum pattern on the computer. This works with sampled audio, or you could easily drop in a track you enjoy. Absolutely awesome. MIDI transform has been upgraded, giving you the ability to get some great changes very quickly over a MIDI section. Some great Max for Live devices have been added as well. All fantastic features-- nothing here is going to be skipped over and ignored. I haven't heard any word on 64 bit support, but I'm hoping it's there. 64 bit is supported! The other huge announcement here is the awesome new controller, Push. Push is a bit of an offshoot between the Novation Launchpad, the Akai APC 40, and Maschine. I'm really in love with this thing, and I think it's going to offer a huge creativity boost to Ableton users, because it has such a great range of applications. 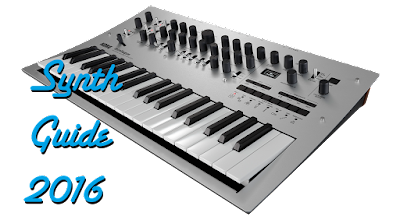 I can work as a sequencer, you can play notes and beats on it, you can pick sounds, and you can arrange on it. It's really a beautiful marriage of the 3 devices aforementioned. My favorite aspect is the playing of melodies and notes-- the way the notes are layed out accross the 64 pads makes it very easy to get great melodies. Even the piano, an important non-synth dance staple, can be played in creative and fun ways. 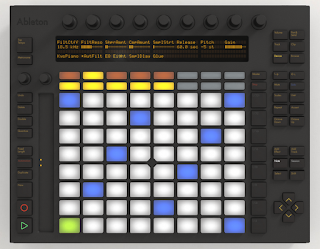 Be sure to check out Ableton's site for more information on Live 9 and the new controller, Push. Release date looks to be sometime in early 2013, but in the mean time, you can buy Live 8 for 25% off and get a free upgrade to 9 when it comes out. Here's hoping I can get access to the beta and show you guys even more!